Levi's came to FCB to create a global TV spot introducing the new 501CT, the first ever modification of their classic 501. As the sole art director on the project, I worked alongside my copywriters on the concept and script. On set I worked closely with the director, contributing to casting, wardrobe and set design decisions; helping plan out scenes; and designing graphics for props and backgrounds. I then saw the film through post production, overseeing the edit, color and VFX. The spot was even featured on AgencySpy and Creativity Online. 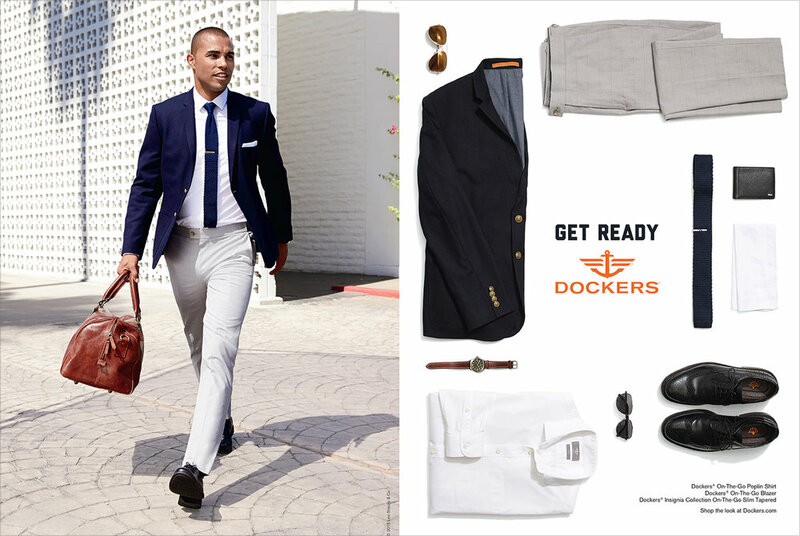 Dockers' new On-The-Go khakis combined state of the art fabrics, hidden pockets, and a myriad of other fashion tech, making them arguably the world's smartest khakis. So to launch the new line, we needed an equally tech-inspired campaign. As the art director on the project, I worked alongside our photographers, bringing techniques typically reserved for electronics and product photography to the world of fashion. The stylized, high contrast, stop motion look was translated in to short in-store videos, out of home, print and a digital banners. 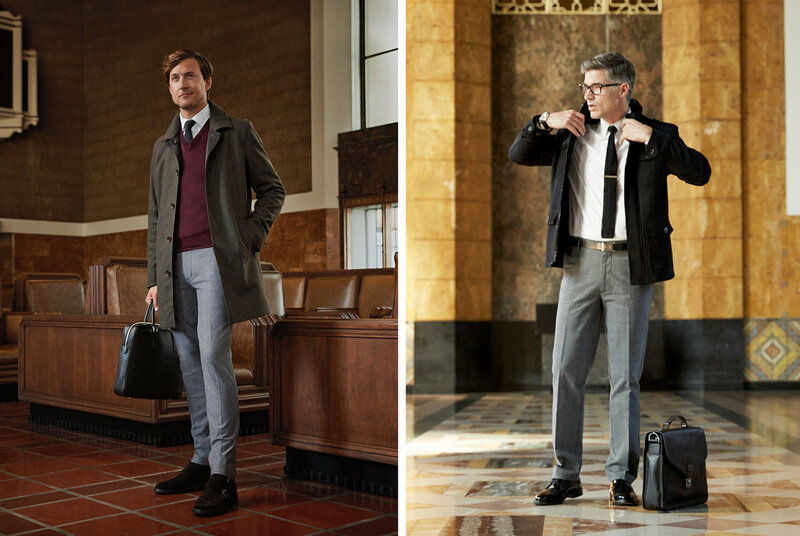 For two design seasons, I concepted photoshoots that told the story of the inspirations behind the men’s fashion collections - great American road trips for Spring ‘15 and classic train travel for Fall ‘15. 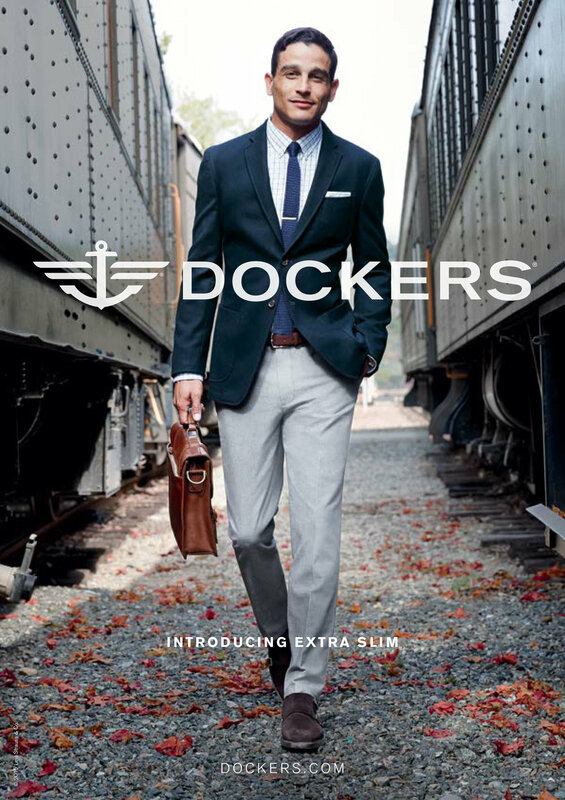 I worked closely with the Dockers brand team to scout locations and coordinate the shoot schedules, which always consisted of dozens of outfits and models over multiple days. I was then responsible for overseeing the retouching, as well as designing the print, digital, point of sale and out of home elements of the campaign.